President Amy Gutmann and Provost Wendell Pritchett are pleased to announce the appointment of Duncan Watts as the University of Pennsylvania’s 23rd Penn Integrates Knowledge University Professor, effective July 1, 2019. Dr. Watts, a pioneer in the use of data to study social networks, will be the Stevens University Professor, with joint faculty appointments in the department of computer and information science in the School of Engineering and Applied Science, the Annenberg School for Communication, and the department of operations, information and decisions in the Wharton School, where he will also be the inaugural Rowan Fellow. Dr. Watts is currently a principal researcher and partner at Microsoft Research and an Andrew D. White Professor-at-Large at Cornell. His influential research brings together sociology, math, physics, statistics, and computer and information science to better understand the interconnected systems that shape our contemporary world. He is a pioneer of network science—which explores how influence, ideas and innovation spread across networks—and computational social science, which uses demographic, behavioral and network data to gain new insights into human behavior. He has been recognized with awards such as the Young Scientist Award for Socio- and Econophysics from the German Physical Society, the Lagrange-CRT Foundation Prize in complexity science, and the Everett Rogers Award from the Annenberg School at the University of Southern California. In 2018, he was elected an inaugural fellow of the Network Science Society. He is the author of three groundbreaking books: Everything is Obvious (Once You Know the Answer); Six Degrees: The Science of a Connected Age; and Small Worlds: The Dynamics of Networks Between Order and Randomness—as well as articles in such leading publications as Nature, Science, the American Journal of Sociology, the Columbia Journalism Review, and the Harvard Business Review. Prior to joining Microsoft Research in 2012, he was a professor of sociology at Columbia University from 2000-2007 and then a principal research scientist at Yahoo! Research, where he directed the Human Social Dynamics group. He earned a PhD in theoretical and applied mechanics from Cornell University and a BSc in physics from the Australian Defence Force Academy, from which he also received his officer’s commission in the Royal Australian Navy. Sherisse Laud-Hammond became director of the Penn Women’s Center (PWC) after a national search. A 2005 alumna of the School of Social Policy and Practice (SP2) and former associate director of admissions in SP2, she returned to Penn on January 16 after directing Temple University’s Master of Social Work Office of Advising and Professional Development. At Temple since 2015, she counseled more than 350 master’s students annually in personal, academic and professional development. A social worker by training, she is trained in individual and group counseling. Ms. Laud-Hammond has facilitated parenting education for more than a decade. She also teaches undergraduate and graduate courses in social work theory and practice. At Penn, Ms. Laud-Hammond spent five years recruiting and advising students in Penn’s MSW program, from 2005-2010. Prior to higher education, she worked in private and nonprofit social services organizations. She is a board member of Inspiring Minds Philadelphia, a nonprofit whose mission is to engage, inspire and empower youth to reach their full potential through education. Ms. Laud-Hammond earned her MSW and won the Social Change Award from Penn. She completed her bachelor’s in sociology from Pennsylvania State University. A Philadelphia native, she is a longtime member of Delta Sigma Theta Sorority, Incorporated. Kelly Writers House, the peerless center and incubator for writers at Penn and the greater Philadelphia community housed in the quaint cottage at 3805 Locust Walk, had been undergoing renovations since last summer, and they were completed this past December. The front parlor, the Arts Cafe, where many readings and public events are staged, has been revitalized and expanded by extending the cafe to include the porch that was formerly facing Locust Walk, making it more usable. It is now also more technologically friendly. The front of the House has been landscaped, the accessibility ramp has moved from the side of the building to the garden, and the living room is in the process of being remodeled with a new floor and door. There was also a significant investment in audio-visual technology to enrich the House’s webcasting capabilities. 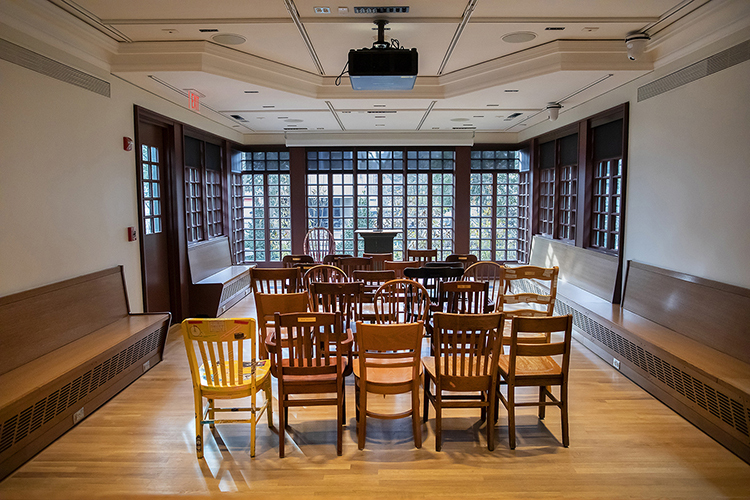 The Provost Center–sponsored, Penn Connects 3.0 project was primarily funded by alumnus David Gross-Loh, one of Writers House Faculty Director Al Filreis’ former students, and his wife Christine. The Kelly Writers House previously underwent renovations in 1997. Both the late-20th century and 2018 revamps have maintained the antique lodge’s historic integrity and Gothic aura. Raymond G. Perelman, a Wharton alum (W’40) who with his wife, the late Ruth Caplan Perelman (Almanac September 6, 2011) made numerous generous gifts to the University of Pennsylvania and for whom the Perelman School of Medicine is named, died January 14 at his residence in Philadelphia. He was 101. Mr. Perelman served on PSOM’s Board of Trustees, hosted events in his home in Palm Beach, Florida, and attended numerous campus events, even into his later years. He particularly enjoyed meeting Penn’s incoming medical students. In October 2011, President Gutmann presented Mr. Perelman with the University of Pennsylvania Medal for Distinguished Achievement, one of the University’s highest honors; at that point, the medal had been presented on only 14 occasions in the last two decades. He was also recognized with an honorary Doctor of Laws in 2014 (Almanac February 18, 2014). Mr. Perelman was the son of a Lithuanian immigrant who settled in Chester, Pennsylvania. After graduating from Wharton and serving as a flight officer in World War II, Mr. Perelman returned to Philadelphia, invested in factory buildings, and became a partner in the company his father founded, cardboard-tube maker American Paper Products Co., expanding it into the metals business. He served as president and chairman of the board of RGP Holding Inc., a private holding company comprised of a vast array of manufacturing, mining and financial interests. Over the course of his career, Mr. Perelman bought, grew and sold dozens of companies. Mr. Perelman continued to do business into his 90s. The state-of-the-art outpatient facility, the Ruth and Raymond Perelman Center for Advanced Medicine, was created thanks to Mr. and Mrs. Perelman’s $25 million gift. It opened in 2008 (Almanac October 7, 2008). The couple made a historic $225 million gift that created a permanent endowment for Penn’s School of Medicine in 2011 (Almanac May 11, 2011), and they established the first endowed professorship devoted to an active, full-time clinician, The Ruth C. and Raymond G. Perelman Professorship in Internal Medicine (Almanac September 27, 2005). Beyond Penn, Mr. and Mrs. Perelman made generous gifts to the Philadelphia Museum of Art and its adjacent Perelman Building, the Kimmel Center and Perelman Theater, the Perelman Jewish Day School, and many other Jewish cultural and welfare organizations. Both the Children’s Hospital of Philadelphia and Drexel University have honored Mr. Perelman’s extraordinary support by naming areas of their campuses in his honor. Many of Mr. Perelman’s children and grandchildren are Penn graduates. His son and University Trustee Ronald O. Perelman (W’64, WG’66), has also been a generous partner of Penn (The Ronald O. Perelman Center for Political Science and Economics (Almanac September 11, 2018), and the Perelman Quadrangle (Almanac April 25, 1995). Mr. Perelman is survived by his sons, Jeffrey (W’71, WG’73) (Marsha) and Ronald (W’64, WG’66) (Anna); grandchildren Steven, Joshua, Debra, Hope, Samantha, Caleigh, Oscar, Ike and Alison; and 10 great-grandchildren. William L. Hanaway, Jr., emeritus professor of Asian and Middle Eastern Studies, died December 30. He was 89. After earning an BA from Amherst and MS, MA and PhD from Columbia, Dr. Hanaway began teaching at Penn in 1971 as an assistant professor of Persian language and literature. In 1976, he was promoted to associate professor. He served as department of Oriental studies chair 1981-1983. He also served as associate director of the Near East Center, 1973-1975. In 1978, Dr. Hanaway was appointed as one of five Honorary Mellon Fellows in the humanities to work with four selected post-doc fellows on their research. With anthropology professor Brian Spooner, he edited Literacy in the Persianate World: Writing and the Social Order (Penn Press, 2012). He served several times on the Faculty Senate Nominating Committee and the Committee on Open Expression. He served as editor of the journal Edebiyat, a publication of the Middle East Center devoted to Middle Eastern literature. He was a recipient of the internally funded Research Foundation Awards for “Analytical Description of the Tashkent Dialect of Uzbek” in 1992. He retired and earned emeritus status in 1995. He is survived by his wife, Lorraine; his daughter, Annie C. (Peter); two grandsons, Will and Robin; and brother, Joseph. Christa Louise Moser, longtime Penn employee and former business administrator in the School of Medicine, died December 23 from cancer. She was 78. Ms. Moser was born in Neckarburken, Germany. She arrived in the US in the 1960s and became an American citizen. Ms. Moser started working at Penn in 1968 as a secretary and then an assistant to a department chair in the School of Veterinary Medicine. She continued her career at the School of Medicine until her retirement in 2003. Her last full-time position was business administrator in the division of infectious diseases in Penn’s School of Medicine. Ms. Moser is survived by her sister, Irmgard; and cousin, Gudrun. View the University of Pennsylvania Sexual Misconduct Policy, Resources and Complaint Procedures supplement, which is out for comment. Gerald Campano, professor and chair of the literacy, culture and international education division of Penn’s Graduate School of Education, with María Paula Ghiso of Teachers College, Columbia University, and Bethany Welch of the Aquinas Center, has received the 2018 David H. Russell Award for Distinguished Research in the Teaching of English from the National Council of Teachers of English for the book Partnering with Immigrant Communities: Action Through Literacy. Throughout his career, Dr. Campano has been committed to creating opportunities for students to mobilize their identities and cultural resources in the literacy curriculum. Dr. Campano is the current convener of Practitioner Inquiry Day at Penn’s Ethnography in Education Forum, which emerged as a response to a growing interest in teachers’ involvement in critical action and participatory research. His current project, a six-year research partnership with a multiethnic, multilingual Catholic parish and its school and community center, explores how universities can foster sustained and ethical collaborations with community-based organizations, with particular emphasis on faith-based centers. The study examines the literacy practices and discourses employed when individuals negotiate social, cultural, linguistic and institutional boundaries that promote educational justice and immigrant rights. Dr. Campano argues that one powerful way universities might cultivate equitable community relationships is through democratizing research processes to include the knowledge and questions of students, teachers, families, and school and neighborhood leaders. Penn undergraduate students Gabriel Gonzalez and Nicole Posadas have earned Benjamin A. Gilman International Scholarships to study or intern abroad during the spring of 2019. They were selected among 844 American undergraduate students from 335 colleges and universities across the United States. Mr. Gonzalez, a junior marketing major in the Wharton School, will be spending the semester studying abroad at the University of New South Wales in Sydney, Australia. Ms. Posadas, a junior earth science major in the School of Arts & Sciences, will be spending the semester studying at the National University of Singapore (NUS). The Congressionally funded Gilman Program broadens the US student population studying and interning abroad by providing scholarships to outstanding undergraduate Pell Grant recipients who, due to financial constraints, might not otherwise study abroad. Since the program’s establishment in 2001, over 1,300 US institutions have sent more than 28,000 Gilman scholars who represent the rich diversity of the United States to 145 countries around the globe. Associated faculty Stephen Kieran (MArch’76) and James Timberlake (MArch’77) were awarded an AIA Philadelphia Gold Medal for their work on the US Embassy in London. Their namesake firm, KieranTimberlake, designed the building as a transparent cube with a two-story colonnade in Nine Elms, a South Bank industrial zone undergoing redevelopment. The goal for the project was to emulate transparency, openness and equality. The firm Interface Studio Architects (ISA), where Brian Phillips (MArch’96), PennDesign lecturer, is a principal, was recognized by the Philadelphia and Pennsylvania chapters of the AIA with five awards. Transatlantic, an adaptive reuse project in Philadelphia, was awarded an AIA Philadelphia Gold Medal; Tiny Tower won an AIA Philadelphia Honor Award in the Built category and an AIA PA Bronze Award; BalletX HQ received an AIA Philadelphia Merit Award for Built Interiors; and Outside-In House was given an AIA PA Bronze Award. Ken Lum, professor and chair of the fine arts department at PennDesign, was named to the Order of Canada, the country’s highest honor. Mr. Lum, who was born in Vancouver and taught at University of British Columbia, Vancouver, for many years, is among those who “have changed our nation’s measure of success and, through the sum of their accomplishments, have helped us build a better Canada,” according to the announcement. Mr. Lum was among 15 officers—along with two companions and 24 members—invested in the Order by Her Excellency the Right Honourable Julie Payette, Governor General of Canada. Fellow Canadians named Officer included actress Catherine O’Hara, scientist Michael Church and pianist Valerie Tryon. Close to 7,000 people from all sectors of society have been invested into the Order. In the most recent Best Hospitals rankings from US News & World Report that came out this past fall, Penn Medicine Princeton Medical Center tied for 10th place on the list for New Jersey hospitals. The rankings awarded “high-performing” status for hip and knee replacement surgery and treating heart failure at this Plainsboro hospital, which the University of Pennsylvania Health System acquired in January 2018. As previously published, Penn-Presby and CHOP also made the lists (Almanac September 11, 2018). Ozan Kuru, an APPC postdoctoral fellow, is part of a team that has been awarded a misinformation and social science research grant from WhatsApp, the Facebook-owned messaging platform that has 1.5 billion users. WhatsApp was used by political parties, religious activists and others to reach nearly 50 million voters before an election in the Karnataka state. Dr. Kuru is co-principal investigator along with Scott Campbell of the University of Michigan on the project “Beyond the Forward: The Social Shaping of (Mis)information through WhatsApp.” The team will use survey research to examine news sharing and misinformation in the United States, Turkey and Singapore. Dr. Kuru said the group will investigate whether and how people share misinformation, refer to fact-checking sources and correct others spreading misinformation on WhatsApp. Dr. Kuru said the end-to-end encryption in WhatsApp makes it a valuable and secure way to send messages in countries where privacy and government surveillance is a concern. But that same technology can be used to fuel the spread of misinformation without the checks and balances seen on social platforms. His research project was one of 20 to receive awards of up to $50,000 from WhatsApp. His team includes Joseph Bayer at Ohio State University, Lemi Baruh of Koç University and Richard Ling of Nanyang Technological University. Penn junior basketball player Phoebe Sterba was recently named Ivy League Player of the Week, following a career performance for the women’s basketball team in its conference-opening victory at Princeton. Ms. Sterba also garnered player of the week honors from the Big 5 and was named the Ann Meyers Drysdale Women’s National Player of the Week by the United States Basketball Writers Association (USBWA). Against the defending league champion Tigers, Ms. Sterba scored a career-high 21 points, consistently hitting clutch shots to power Penn past Princeton. Twelve of Ms. Sterba’s points came in the fourth quarter, including a 3-pointer to start the period with the Quakers down five, a 3-pointer to vault Penn into the lead with 5:30 left at 50-48, and a steal and ensuing layup to give Penn a four-point cushion and force a Princeton timeout late. She entered the game having only taken two free throws all year, and went a perfect 4-for-4 to ice the game with under 15 seconds. In addition to her 21 points, Ms. Sterba also made three rebounds, three assists, two steals and a block. She currently ranks fifth in the Ivy League, averaging 2.2 made 3-pointers per game. Ms. Sterba is the second player in program history to be named national player of the week by the USBWA, joining Keiera Ray in 2013. Backed by the University of Pennsylvania, Pennovation Works is a 23-acre entrepreneurial ecosystem with a central business incubator driving academic research to commercialization. True to vision and just two years from the grand opening, the site has emerged as a sought-after hub for innovation and industry where growing numbers of researchers, entrepreneurs and industry partners are finding fertile ground for propelling solutions forward to some of the most pressing issues of our time. Members of the Pennovation community enjoy shared equipment and best-in-class facilities, affordable offices, wet labs, Inventor Garages and coworking desks, access to capital resources, top talent and global networks, industry expertise, interdisciplinary collaboration, robust resources and invaluable programming. This is a look back at the stats, stories and snapshots that shaped an extraordinary year in this ecosystem of innovation, where ideas go to work. Between the nearly 100% occupied dedicated space inside the business incubator known as the Pennovation Center and the rapidly developing adjacent buildings on the Pennovation Works site, there’s a lot to see at 3401 Grays Ferry Avenue on any given day. Notable visits include guests from as close as the neighborhood and as far afield as South America, Western Europe and East Asia. April: In an effort to connect with some of the top startup founders in the region and as a follow-up to his “Rise of the Rest” tour, AOL co-founder Steve Case held a round table discussion and toured the Pennovation Center, making a strong case for continued collaboration citywide. April: The Women of Tomorrow Mentorship Program connected 20 Philadelphia high school students interested in career opportunities in STEM fields to female entrepreneurs based at Pennovation. May: Research associates from Penn Praxis conducted an on-site Jane’s Walk to showcase Penn’s technology and innovation hub as a centuries-old place of innovation. May: Coded by Kids and Blackfynn took a tour of the Center to introduce 50 Fulbright scholars to a major driver behind Philadelphia’s expanding innovation ecosystem. June: Select Greater Philadelphia and the City of Philadelphia organized a tour of Pennovation and other innovation hubs in the city for the United States Army as they assessed Philadelphia for their new Futures Command Headquarters. August: The Knight Foundation paid a visit to Pennovation to see best practices and increase its understanding of innovation centers as a catalyst for urban economic development. In 2018, two new partnerships were formed to add a global element to the growing ecosystem of innovation emerging at Pennovation and across the Greater Philadelphia region at large. In the spring, site operator Benjamin’s Desk merged with global innovation network 1776, resulting in additional programs with early venture strategy experts and advising opportunities through the UNION platform. Through a portfolio of resident companies and programming available to both Penn-affiliated and Philadelphia-area entrepreneurs, the JPOD @ Philadelphia serves to identify and accelerate the development of early-stage healthcare solutions from the region’s life science ecosystem (Almanac November 6, 2018). In the fall, just after the two-year anniversary of the Center’s ribbon cutting event, JPOD @ Philadelphia officially launched at Pennovation Works, with nearly 300 select guests and a star lineup of speakers including Penn President Amy Gutmann, Mayor Jim Kenney, Global Head of Johnson & Johnson External Innovation William Hait and Executive Vice President of Global Corporate Affairs Michael Sneed. In honor of the opening, JJI and JLABS announced the launch of the JPOD @ Philadelphia QuickFire Challenge to engage with innovators working on technologies and solutions with the potential to radically improve human healthcare, with winners to be announced in 2019. Drone software platform developer Aerial Applications has used its Inventor Garage to rapidly process drone data into precision maps, and apply drone technology to help proactively manage city electric grids and restore critical power following natural disasters across the country. Bioprinter company Allevi entered into a partnership to send a 3D bioprinter to the International Space Station. Since April 2018, life science startup Aro Biotherapeutics has expanded their footprint at the Center not once, not twice, but three times. Aro is focused on expediting the development of a dynamic proprietary protein scaffold engineered to allow tissue-specific drug delivery, which has a particularly promising future for cancer treatment. Few companies are marching towards the market quite as quickly as Avisi Technologies, a pre-clinical medical devices startup, 2018 Penn President’s Innovation Prize winner and newly inducted JPOD @ Philadelphia resident company. Avisi is advancing the development of a nanoscale ocular implant and novel technology designed to treat glaucoma and cure blindness. Following a four-month accelerator for hardware startups in China, IQ Motion Control returned to Pennovation to bring the first drone motor with position sensing to the masses. While the CEO may be behind the World’s Smallest Self-Powered Flying Robot, the company—now a tenant within the large Office Building—no longer occupies the world’s smallest office space at the Center. Shortly after leasing two offices and a newly outfitted testing lab at the Center, Philadelphia biotech firm Opertech Bio was named one of 17 startups selected to participate in the renowned food and agriculture accelerator program TERRA, with recognition for their advancements developing technology to improve the process for measuring taste. Named a Top 20 Philadelphia Startup on Technical.ly Philly’s realLIST 2018, Tern Water has been making groundbreaking advancements in widespread access to safe and sustainable water. Their flagship product, the Smart Faucet, launched in November 2018. As innovation hubs and incubators emerge as the smart solution for universities, entrepreneurs, researchers and students interested in transforming their creative ideas into viable commercial ventures, Pennovation’s community of innovators continued to push world-class research forward in exciting and unpredictable ways. Penn’s School of Engineering & Applied Science embarked on a new project to develop legged robots with the kind of embodied intelligence that will one day allow a parkouring mechanical squirrel to use its limbs as sensors and learn new forms of unprogrammed movement in real time, based on its interactions with its surroundings. Researchers at Penn’s Modular Robotics Lab (part of the previously mentioned PERCH) developed SMORES-EP, a robotic system capable of giving autonomous robots the ability to change shape to adapt to challenging environments. Pennovation Works company Qualcomm teamed up with PERCH students to create swarms of drones that can navigate on their own and could ultimately save people from peril. Under guidance from Dr. Henry Daniell, Professor of Biochemistry and Director of Translational Research at Penn Dental Medicine, and with nearby access to his campus laboratory and Pennovation Works greenhouse, biotechnology startup PhylloZyme advanced its mission to bring plant-produced enzyme products to market and establish strategic alliances with different industrial clients around the globe for pilot level trials. Startup Biorealize, the brainchild of a Penn alumna and a researcher in Penn’s School of Design, is well on its way to revolutionizing the future of biofabrication; during Milan Design Week 2018, they partnered with Puma and MIT Design Lab to create an exhibition demonstrating how bacteria can be used within sportswear design to improve performance and sustainability. The Center for Environmental Building and Design (CEBD) in Penn’s School of Design constructed a research site to understand ger thermal behavior and identify opportunities to improve comfort, durability and energy performance. At the Penn Vet Working Dog Center, rigorous training regimens culminated in canines capable of performing search-and-rescue missions, lending their outstanding olfactory systems to law enforcement, detecting early stage ovarian cancer and even sniffing out stolen antiquities. April 3: 200+ music fans came out for a community concert featuring The Daedalus Quartet as part of an ongoing effort to bring more opportunities in the arts to Pennovation. May 1: Penn Medicine’s Dr. Carl June, responsible for the discovery of the first CAR-T gene therapy to be approved by the FDA for cancer, discussed how to sustain momentum in the fight against cancer as well as the current opportunities and challenges in growing the cell and gene therapy sector in Philadelphia. The event was co-hosted by PACT and the Penn Center for Innovation (PCI) as a part of Philly Tech Week #PTW18 and can be viewed here. June 9: Hosted in partnership with the Grays Ferry community, the Second Annual South Philly Career Fair connected 350+ people to job opportunities with 80+ vendors. June 24: The first Philadelphia Mini Maker Faire at Pennovation Works drew 1,200+ engineers, investors, students and artists interested in celebrating 100+ startups and small businesses with mass production dreams. July 21: Following a demanding 24-week program and final project showcase, 45+ newly certified coders graduated from Penn’s College of Liberal and Professional Studies inaugural Coding Boot Camp with a pathway into the tech industry. June-July: As part of the first Pennovation Accelerator, the Penn Center for Innovation, PCI Ventures, 1776 and Penn’s Vice Provost for Research’s office selected six early stage ventures to benefit from six weeks of sessions in market research, business planning, team formation and capital strategies. July: The Steppingstone Scholars Program, a four-week blended learning initiative on robotics, connected 60+ educationally underserved students in the Greater Philadelphia region to challenging content and tools to achieve academic success. September 13: PCI Ventures hosted their Sixth Annual Showcase at the Center to celebrate the progress made by their portfolio and Pennovation member companies and provide a platform for interaction with the larger innovation community. As previously mentioned, construction was completed for JPOD @ Philadelphia on the second floor of the Center in fall 2018. In Spring 2018, the Pennovation Center began leasing Startup Pods designed for early stage companies with 4-6 people that need their own space, but are still looking for the amenities of an office with the flexibility and low-cost benefits of a coworking desk. Recent renovations performed in the 24,000 square foot adjacent office building paved the way for several Pennovation member expansions, including three new leases for Penn Engineering and two custom fit-outs for companies experiencing rapid growth. March: A first floor laboratory was created for the Internet of Things (IoT), complete with multi-use student workstations, testing areas, and conference and lounge spaces. June: The Penn Engineering Research and Collaboration Hub (PERCH), established at the Center, took additional space on the first floor of the office building to be able to offer a quiet laboratory space with work desks, private meeting spaces, a lounge area and a kitchenette. August: A first floor laboratory was renovated for M. Ani Hsieh (of Penn’s department of mechanical engineering and applied mechanics) to house a large robotics aquatic pool that can generate ocean-like currents and help researchers map the ocean with marine robots. Ghost Robotics, a company revolutionizing legged robotics (see the Vision 60 showing off its skills) took additional space in the Office Building to further its advancements in autonomous unmanned ground vehicles. Biotech company Limelight Bio extended its operating space to maximize its capacity to develop novel gene therapies focused on enabling the treatment of debilitating inherited diseases that cannot be addressed by existing technologies. After undergoing a proposal process, Penn is moving forward with a turn-key development of the Main Lab Building, with anticipated completion (pending final trustee approval) in summer 2020. 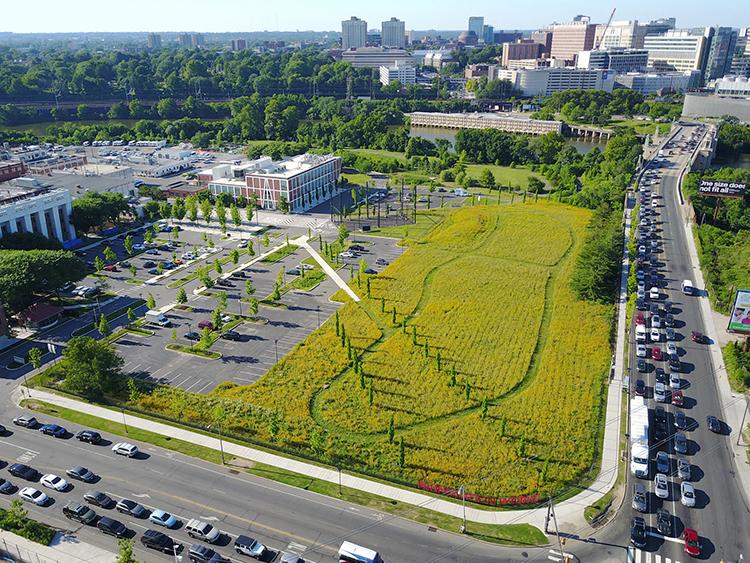 A new 1.25-acre parcel south of Pennovation Works (1201 S. 35th Street) will be acquired in early 2019. A bustling neighborhood since the mid-1800s, Grays Ferry continues to experience the upturn in population and business interest occurring in and around the city. Support for a thoughtfully developed commercial corridor benefiting all who work and live in the area continues to grow. Following the December 2017 Grays Ferry Healthy Corridor National Study and panel presentation, the Urban Land Institute of Philadelphia moved on several of the recommended steps to foster a healthy Grays Ferry Corridor, from transportation and infrastructure changes to the implementation of strategies designed to support small business growth. With the Pennsylvania Department of Environmental Protection’s support, Penn continued efforts to transform the Pennovation Works site. This builds on joint investments in site improvements the year prior by the Philadelphia Industrial Development Corporation and the US Environmental Protection Agency. Penn was awarded a million-dollar grant from the state’s Redevelopment Assistance Capital Program (RACP) to advance the redevelopment of the main lab at Pennovation Works. RACP grants are reserved for the acquisition and construction of regional economic, cultural, civic, recreational, and historical improvement projects with multi-jurisdictional impact. SEPTA’s Board approved the 2019 addition of Bus Route 49, which will directly connect several neighborhoods to University City and provide easy access to Pennovation from 30th Street Station and Museum Mile. Penn Transit Services fielded a record-breaking number of requests for Pennovation’s on-demand shuttle service, with ridership jumping from around 1,600 in January to around 3,000 in July 2018. 2018 saw a surge in press coverage for Pennovation, ranging from articles profiling community members driving some of the biggest and best breakthroughs in life science, technology and artificial intelligence to podcasts and videos highlighting the University of Pennsylvania’s lead role in harnessing and commercializing the tremendous creative potential in the region. The University of Pennsylvania’s Tax and International Operations Office will again utilize ADP W-2 Services for year-end 2018. Please note that W-2 Forms were mailed to employees’ permanent addresses as it appeared on the Payroll/Personnel File (Employee Database). If the permanent address was not completed on the Payroll/Personnel File, the W-2 Form was mailed to the current address. Box a: Employee’s social security number. This is your Social Security Number. It should match the number on your Social Security card. If the number is incorrect, please provide your Social Security card to the Tax Department. The Tax Department will update and issue a corrected W-2 Form. Box b: Employer identification number (EIN). This is your employer’s identification number assigned by the IRS. Box c: Employer’s name, address, and ZIP code. This identifies the name, address, city, state and zip code of your employer. Box d: Control number. This is a code that identifies this unique W-2 Form document in your employer’s records. It is an optional field and may be left blank. Box e: Employee’s name. This identifies your full name (first name, middle initial and last name). Your name must match the name on your social security card. If the name is incorrect, please provide a copy of the Social Security card to the Tax Department. The Tax Department will update and issue a corrected W-2 Form. Box f: Employee’s address. This identifies your address, city, state, and zip code. Box 1: Wages, tips, other compensation. Box 1 reports your total taxable wages or salary for federal income tax purposes. This figure includes your wages, salary, tips, reported bonuses and other taxable compensation. Any taxable fringe benefits (such as group term life insurance) are also included in your Box 1 wages. Box 1 does not include any pre-tax benefits such as savings contributions to a 401(k) plan, 403(b) plan, health insurance, or other types of pre-tax benefits. Box 2: Federal income tax withheld. Box 2 reports the total amount withheld from your paychecks for federal income taxes. This represents the amount of federal taxes you have paid-in throughout the year. Box 3: Social security wages. Box 3 reports the total amount of wages subject to the Social Security tax for 2018. The Social Security tax is assessed on wages up to $128,400 (for 2018). This limit is called the Social Security wage base. Box 4: Social security tax withheld. Box 4 reports the total amount of Social Security taxes withheld from your paychecks. The Social Security tax is a flat tax rate of 6.2% on your wage income, up to a maximum wage base of $128, 400 (for 2018). Wages above the Social Security wage base are not subject to the Social Security tax. Accordingly, the maximum figure shown in Box 4 should be $7,960.80 ($128,400 maximum wage base times 6.2%). If you have two or more jobs during the year and your total Social Security wages (Box 3) exceeds $128,400, you may have paid-in more Social Security tax than is required. You claim the excess Social Security tax withholding as a refundable credit on your Form 1040. Box 5: Medicare wages and tips. Box 5 reports the amount of wages subject to the Medicare tax. There is no maximum wage base for Medicare taxes. Box 6: Medicare tax withheld. Box 6 reports the amount of taxes withheld from your paycheck for the Medicare tax. The Medicare tax is a flat tax rate of 1.45% on your total Medicare wage under $200,000. Employees whose Medicare wages are over $200,000 will be subject to an additional withholding for the additional Medicare Tax at a rate of 0.9% on Medicare wages over the $200,000. This is a rate of 2.35% on all Medicare wages over $200,000. Box 10: Dependent Care benefits. Shows the total dependent care benefits under a dependent care assistance program paid or incurred by the employer for the employee and amounts paid or incurred for dependent care assistance in a section 125 (cafeteria) plan. It may include the amounts paid directly to a daycare facility by the employer or reimbursed to the employee to subsidize the benefits, or benefits from the pre-tax contributions made by the employee under a section 125 dependent care flexible spending account. Any amounts over $5,000 are also included in boxes 1, 3, and 5. Box 12: Deferred Compensation and Other Compensations. There are several types of compensation and benefits that can be reported in Box 12. Box 12 will report a single letter or double letter code followed by a dollar amount. A complete list of the codes can be found on the box instructions on the W-2 Form. These are the most common codes found on Penn’s W-2 Form. Code C: Taxable cost of group term-life insurance over $50,000. This amount is included as part of your taxable wages in Boxes 1, 3, and 5. Code E: Non-taxable elective salary deferrals to a 403(b) retirement plan. Code G: Non-taxable elective salary deferrals and employer contributions (including non-elective –deferrals) to a Section 457(b) retirement plan. Code M: Uncollected Social Security or RRTA tax on taxable group term life insurance over $50,000. Code N: Uncollected Medicare tax on taxable group-term life insurance over $50,000. Code P: Excludable moving expense reimbursements paid directly to a member of the armed forces (not included in Box 1, 3, or 5). Code T: Employer paid adoption benefits. This amount is not included in Box 1 wages. Use form 8839 to compute any taxable and nontaxable amounts. Code W: Employer and employee contributions to a Health Savings Account. Code Y: Salary deferrals under a Section 409A non-qualified deferred compensation plan. Code Z: Income received under 409A non-qualified deferred compensation plan. This amount is included in taxable wages in Box 1. This amount is subject to an additional tax reported on the employee’s Form 1040. Code BB: After-tax contributions to a Roth 403(b) retirement plan. Box 13: Checkboxes. There are three checkboxes in Box 13. The only box that may be checked off that applies to you as an employee of the University is the Retirement Plan. Retirement plan means that you participated in your employer’s retirement plan. If the “Retirement plan” box is checked, special limits may apply to the amount of traditional IRA contributions you may deduct. See Pub. 590, Individual Retirement Arrangements (IRAs). Box 14: Other Tax Information. Your employer may report additional tax information in Box 14. If any amounts are reported, they will have a brief description of what the amounts are for. For example, SUT represents the amount of State Unemployment Tax which was withheld from your earnings during the year. Box 15: State and State Employer’s Identification. Box 15 reports the state and your employer’s state tax identification number. Box 16: State wages. Box 16 reports the total amount of taxable wages earned in that state. You may have multiple state W-2 forms if you worked in other states during the year. Box 17: State income tax withheld. Box 17 reports the total amount of state income taxes withheld from your paychecks for the wages reported in Box 16. Box 18: Local wages. Box 18 reports the total amount of wages subject to local income taxes. You may also have multiple local W-2 forms if you worked in more than one locality during the year. Box 19: Local income tax withheld. Box 19 reports the total amount of taxes withheld from your paychecks for local income taxes. Box 20: Locality name. Box 20 provides the name of the locality where the tax is being paid. Social Security Wage Rate: The 2019 Social Security wage base is $132,900. Social Security Tax Rate: The 2019 tax rate remains at 6.2% and the maximum tax that an employee would pay will be $8,239.80. Medicare Tax Rate: The Medicare tax rate remains at 1.45% in 2019 for wages under $200,000. Wages in excess of $200,000 are taxed at 2.35%. PA State Unemployment Insurance Employee Rate: The tax rate remains at 0.06% for 2019. PA State: The tax rate for 2019 remains at 3.07%. Philadelphia City: As of July 1, 2018, the Resident Rate is 3.8809% and Non Resident Rate is 3.4567% and remains the same for the beginning of 2019. 22 Oncogenic Ras-Dependent Determinants of Tumor Fitness; Dafna Bar-Sagi, New York University; noon; Caplan Auditorium, Wistar. 28 A Conversation with Professor Steven Kimbrough; discussing the math behind gerrymandering; noon; Bodek Lounge, Houston Hall; register: https://tinyurl.com/y7xxa6hp (PPSA). 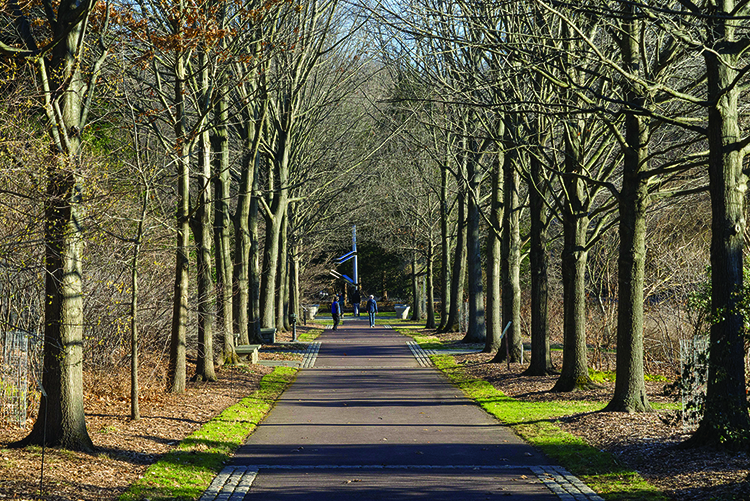 The January AT PENN calendar is now online. The February AT PENN calendar will be available Tuesday, January 29. 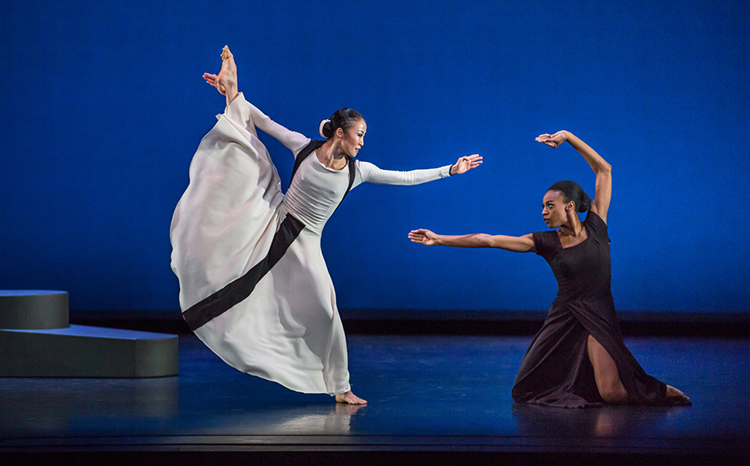 The Martha Graham Dance Company will perform January 25-26 in Zellerbach Theatre at the Annenberg Center. The Martha Graham Dance Company is one of the oldest and most celebrated contemporary dance companies on the planet. In the EVE Project, this iconic troupe stays true to Graham’s tradition of social activism with a program by all female choreographers commemorating the upcoming centennial of the 19th Amendment. Featuring the powerful Philadelphia premiere of Chronicle by Graham, as well as the first preview performance of a new work by contemporary superstars Maxine Doyle and Bobbi Jene Smith, this amazing company continues to inspire and impress the generations worldwide. As part of the Dr. Martin Luther King, Jr., Symposium on Social Change, the Office of Affirmative Action and Equal Opportunity Programs and Penn Law will sponsor Native American Student Success: The Effect of Tribal Colleges and Universities on Native American Student Retention at 3 p.m. on Thursday, January 31 in room 245A, Silverman Hall at Penn Law. The program, featuring Marybeth Gasman from GSE, Maggie McKinley from Penn Law and Margaret Bruchac from SAS, will explore the ways in which mainstream four-year institutions can support their Native American student populations. 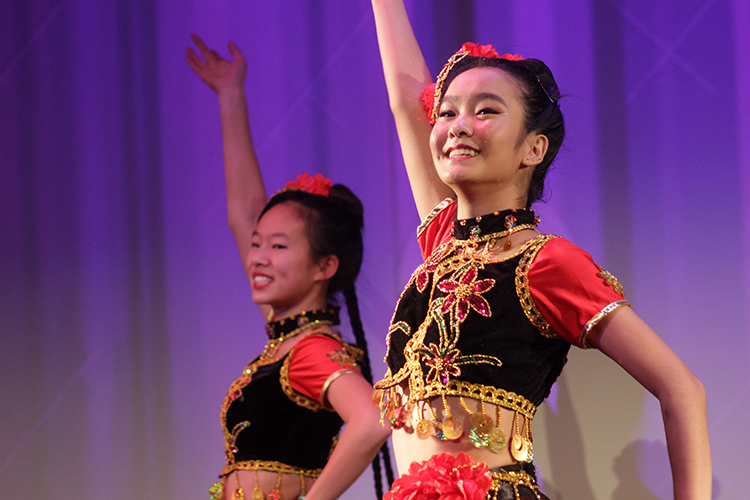 Join International House Philadelphia for its annual Lunar New Year Celebration, a night of fantastic performance and delicious food, on Thursday, February 7 at 7 p.m. This is IHP’s annual showcase of traditional Chinese music, dance, martial arts and film followed by a reception with interactive cultural activities and a sampling of authentic Chinese cuisine by Sang Kee Noodle House. This year’s lineup of traditional performances includes a traditional lion dance by the Philadelphia Suns, musical performances by the Philadelphia Chinese Opera Society and Qin Qian, dances by the University of Pennsylvania’s Pan-Asian Dance Troupe and more! Challenging Negative Attitudes; 2/6; 12:30-1:30 p.m. By challenging negative attitudes, we have the power to take control of pessimistic perspectives and stressful situations. During this course, participants will learn to manage the impact of negative situations, deal with negative people more effectively and learn coping tools for dealing with change. Adapting your Leadership Style; 2/7; 12:30-1:30 p.m. Leadership styles can vary based on working environment, personal background, or industry. Knowing how to effectively channel the right leadership style given a specific audience or setting is key to being an effective leader. In this course, we will uncover the qualities it takes to be a leader, recognize style differences, understand how to conduct one-on-ones and develop motivation approaches for employees. Behavioral Interviews; 2/14; 12:30-1:30 p.m. This interview approach to hiring can make all the difference when looking for the right candidate for your department. A bad hire can contribute to several negative consequences including: lost productivity, time required to hire and train another person, decreased department morale and legal issues. Give this method a try while interviewing for your department’s next open role. Taking Control of Conflict; 2/19; 9 a.m.-noon; $75. Conflict can be an obstacle to organizational success and personal job satisfaction. Although you may not eliminate conflict entirely, you can take control of it by creating a positive work environment in which conflict is dealt with maturely and collaboratively. By identifying the source of conflict and implementing resolution strategies, you’ll learn how to handle conflict and prevent unnecessary conflict before it becomes an issue. Your department will be charged for this workshop. Guided Meditation; 2/8; 12:30-1:30 p.m. Practice mindful breathing that focuses your attention on the present moment with kindness, compassion and awareness. Self-massage and gentle mindful movements that promote relaxation and reduce stress may also be included in the workshop. No experience necessary. Developing good savings habits and creating a budget that works for you. Managing student loans and other debt. Understanding credit reports and scores—what they are, why they matter and how to improve them. Learning investment basics, including retirement plans, the impact of taxes, and the power of compounding and asset allocation. Admissions Brown Bag: Navigating the Curricular Waters; 2/13; noon-1 p.m. Join Penn’s undergraduate admission office to discuss the role of the high school transcript and course selection in the holistic admission review. This may be particularly timely for parents of high school freshman, sophomores and juniors as course selection will be happening in the winter of 2019. Mindfulness; 2/15; 12:30-1:30 p.m. Mindfulness is “paying attention, on purpose, in the present moment, non-judgmentally,” according to Jon Kabat-Zinn. Mindfulness practice develops awareness of your present thoughts and feelings to help you manage different situations. In this once-a-month experiential workshop, you’ll see how mindfulness can help you become more engaged and effective both at home and in the workplace. No prior meditation experience necessary. Guided Meditation; 2/26; 12:30-1:30 p.m.; Please refer to 2/8 listing for details. Wills, Trusts and Estate Planning; 2/28; 12:30-1:30 p.m. Join Marcie L. H. Merz, executive director of Planned Giving and associate general counsel at the University of Pennsylvania, to learn about the importance of estate planning, managing your estate during life and disposing of your estate at your death through the use of trusts, wills, beneficiary designation forms and other planning documents. Indoor February Wellness Walk; 2/1; noon-1 p.m. A special someone may hold the key to your heart, but taking care of yourself by eating well and being physically active can be the key to a healthier heart! Meet the Center for Public Health Initiatives Staff inside the Palestra for some heart-healthy exercise. February is American Heart Month and an appropriate time to pay attention to one of the most important organs in your body. In keeping with this month’s Valentine’s Day and Heart Health theme, participants are encouraged to wear red for this 1-2 mile walk. Bring your water bottle and don’t forget your sneakers! Chair Yoga; 2/6; noon-1 p.m. Interested in trying yoga but don’t know where to start? Join us for a wonderful class of chair yoga. You get the same benefits of a regular yoga workout (like increased strength, flexibility and balance) but don’t have to master complex poses. Chair yoga can even better your breathing and teach you how to relax your mind and improve your wellbeing. Gentle Yoga; 2/7; noon-1 p.m.; Let your body reward itself with movement! Join us for this Gentle Yoga session and explore the natural movements of the spine with slow and fluid moving bends and soft twists. During this session, you will flow into modified sun salutations that loosen those tightened muscles and joints of the lower back, neck, shoulders and wrists. And as an added bonus, you’ll get a workout in the process. Mats and props will be provided. Zumba; 2/14; noon-1 p.m. Perfect for everybody and every body! Each Zumba class is designed to bring people together to burn calories. We take the “work” out of workout, by mixing low-intensity and high-intensity moves for an interval-style, calorie-burning dance fitness party. Once the Latin and World rhythms take over, you’ll see why Zumba Fitness classes are often called exercise in disguise. Be in the Know Biometric Screenings; 2/19; 9 a.m.–1 p.m.; Hall of Flags, Houston Hall. Start this year’s Be in the Know campaign and sign up for a free and confidential biometric screening, which measures your blood pressure, blood sugar (glucose), and non-fasting total and high-density lipoproteins (HDL) cholesterol. You may also choose to fast to include low-density cholesterol (LDL) and triglyceride results. Get started today and earn up to $300 this campaign year! Below are the Crimes Against Persons, Crimes Against Society and Crimes Against Property from the campus report for January 7-13, 2019. View prior weeks' reports. —Ed. This summary is prepared by the Division of Public Safety and includes all criminal incidents reported and made known to the University Police Department for the dates of January 7-13, 2019. The University Police actively patrol from Market St to Baltimore and from the Schuylkill River to 43rd St in conjunction with the Philadelphia Police. In this effort to provide you with a thorough and accurate report on public safety concerns, we hope that your increased awareness will lessen the opportunity for crime. For any concerns or suggestions regarding this report, please call the Division of Public Safety at (215) 898-4482. Below are the Crimes Against Persons from the 18th District: 3 incidents (1 domestic assault and 2 aggravated assaults) with 1 arrest were reported between January 7-13, 2019 by the 18th District covering the Schuylkill River to 49th Street & Market Street to Woodland Avenue.